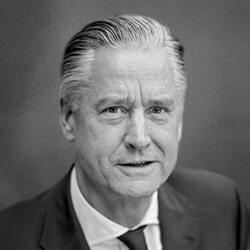 Henk Markerink has been CEO of the Amsterdam ArenA, The Netherlands, since 1995. Markerink was the project manager for the design and construction of the ArenA from 1991 till 1995. He has been actively involved in the development of the ArenA Boulevard Area into a new Sports, Leisure and Entertainment destination. Markerink graduated from the Eindhoven Technical University and earned a Masters degree in Architecture and Structural Engineering. After his graduation he worked for Arcadis Building Consultancy and Twijnstra Gudde Management Consultants. In 2000 Markerink founded Amsterdam ArenA Advisory, now called Amsterdam ArenA International. With this company he worked on various stadium projects like the Berlin Olympic Stadium and the Beijing Olympic Stadium and he has been contributing to the management of the stadium of Gremio in Porte Alegre and the World Cup Stadiums in Natal and Salvador, all in Brasil. Since 2012 Markerink is also actively involved in the World Cup projects of Qatar 2022. Markerink is member of the Economic Board of the Amsterdam Metropolitan Area, member of the Advisory Board Disabled Sports Fund and board member of “Beter Benutten II” (Optimising infrastructure and mobility) (together with the Minister of Infrastructure & environment and the commissioner of the province North-Holland).